The Michael Bane Blog: First Shots, "Scout-In-A-Box"
You can see here one of the reasons I opted for a forward "scout" mount in the BLR...the BLR's higher profile receiver would be a little tougher to get into the box of choice if I had gone with a traditional mount scope. I also like that the scope, a Burris 2-7X Scout, remains with the barrel. Yes, lock up should be the same every single time without effecting the point of aim, but hey, it's the real world. If I'm taking the gun apart, I'd rather the scope stay with the barrel. I also like how close to the bore line I can get the scope, an advantage of the forward mount. 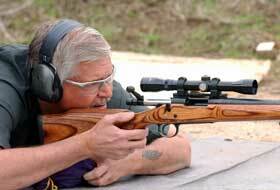 Here's producer John Carter shooting the BLR...note the loooooooooooong bolt almost to his nose! I wanted the gun with the same length of pull as my cowboy lever actions. 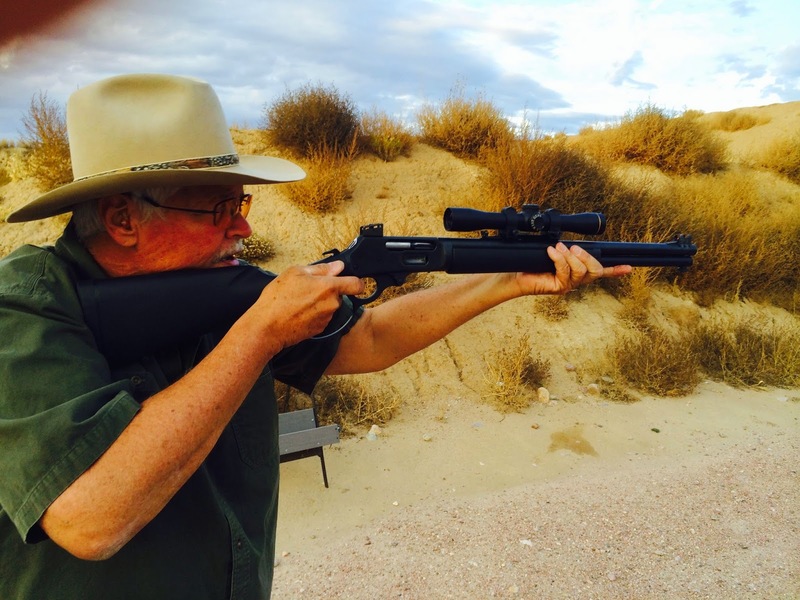 The long bolt isn't an issue with .223 recoil, but it does scare bystanders. I would say the gun is working out well. 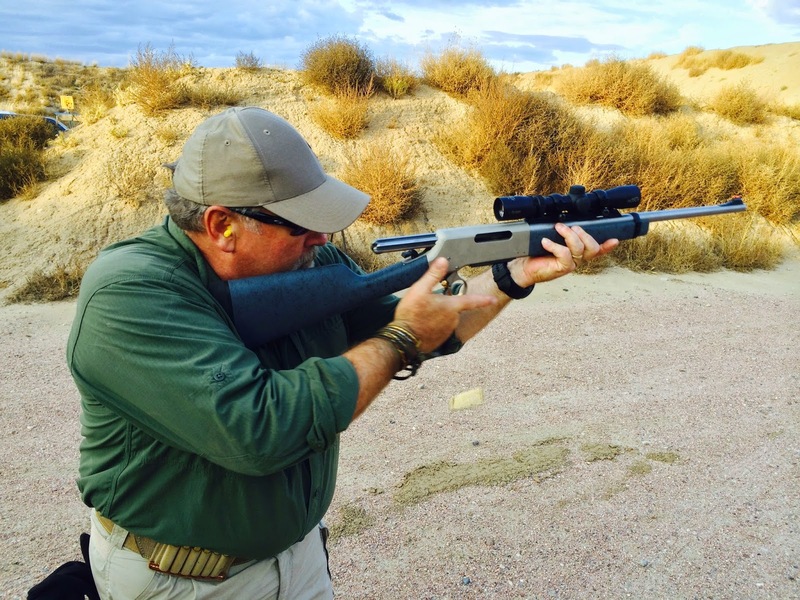 It is fast to shoot — we were using Winchester White Box 55-gr ball — and fast to run. Since we were limited to pistol bays, we didn't get into accuracy tested and ran the scope at 2X. I'll get the gun properly sighted in after we get through SG and THE BEST DEFENSE filmings. Recoil was negligible, of course. I'm just getting the Andy's Leather Rhodesian sling set up like I want it. The only issue any of us had running the gun was with one magazine. I gotta say that considering BLR magazines are $125 MSRP, the DAMN THINGS OUGHT TO WORK 100%! That's a discussion I'll be having with Browning, you betcha! 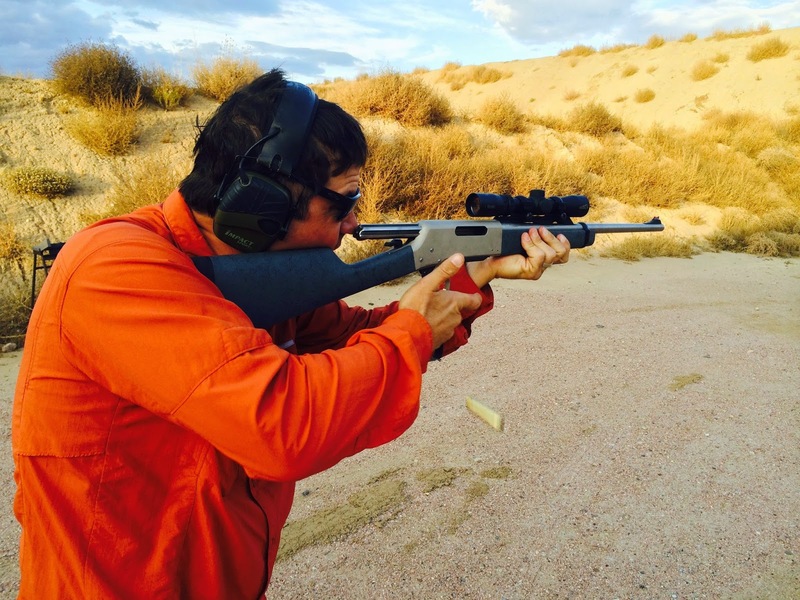 Tim Wegner from Blade-Tech was with us for the filming, and he was really taken with the little carbine. He brought along a Wild West Guns Alaskan Co-Pilot based on a 45/70 Marlin, so we had both yin and yang on the range, not to mention Marshal Halloway with is Taylor's Alaskan 44 Magnum take-down. Here's me with Tim's Co-Pilot...that's Marshal Halloway's thumb in the upper lefthand corner of the picture...LOL! 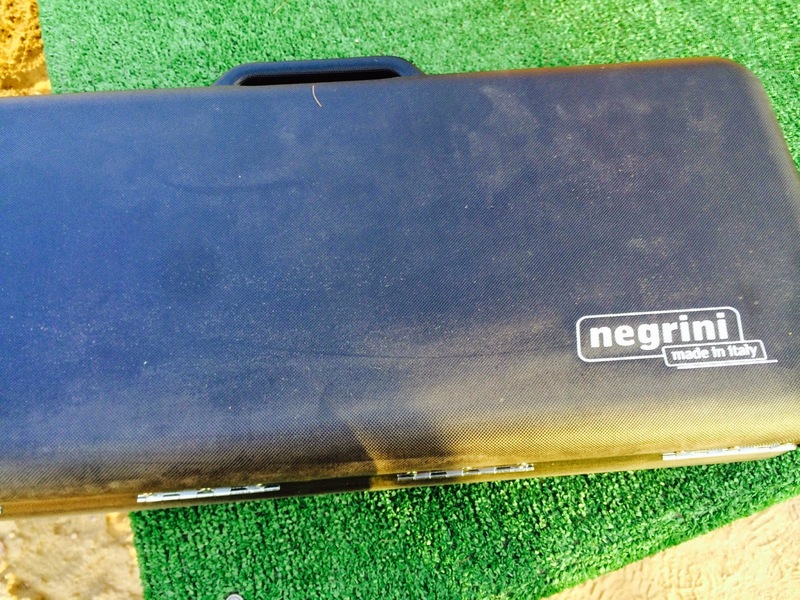 I will say that hands-down the Negrini is the best gun case I have ever used. It's not just a little better...it's a WHOLE BUNCH better! 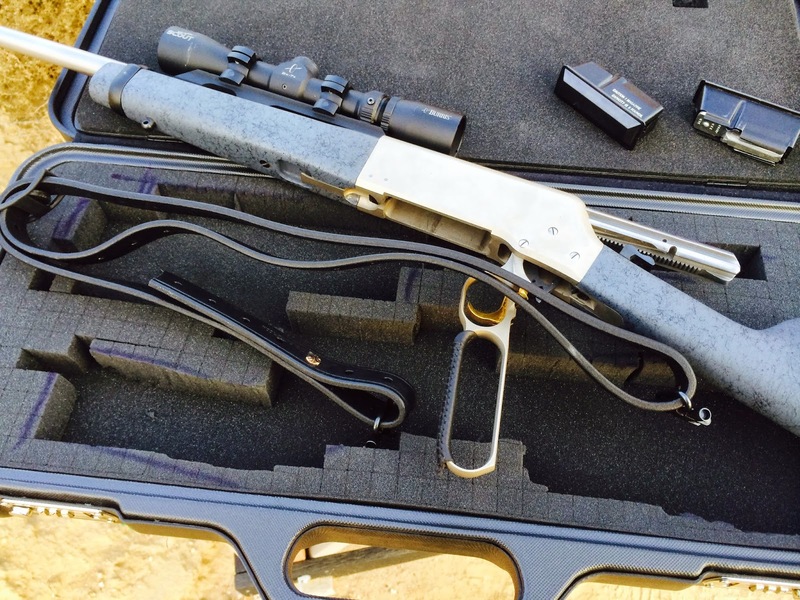 I have to say that the idea of a take-down lever action rifle in a reasonably small and light case was really intriguing to everyone, especially considering that BLR take-downs are available in such heavyweight calibers as .300 Win Mag and .450 Marlin (essentially a belted ballistic twin of the 45/70). We'll be doing the complete story of the BLR Scout "legal in all jurisdictions" rifle on DRTV at the same time the level episode runs on SHOOTING GALLERY. It's been a long time since you started this project. Can you remind me what specifications you used to determine "legal in all jurisdictions"? Also, what makes the Negrini superior to Pelican, Zero Halliburton or whatever? Ahhhh. I love lever actions and can't wait to see the episode. Wild West guns has my lever action. 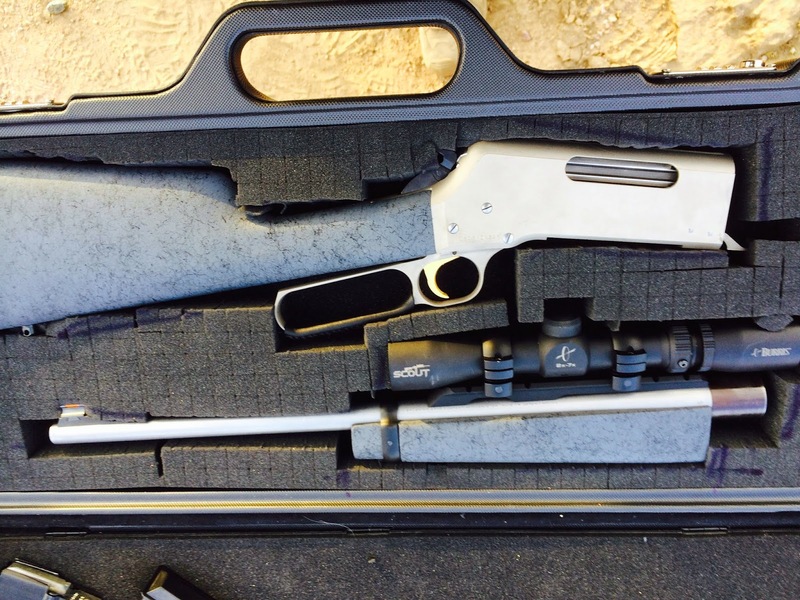 It started life as a stainless Marlin 1895 SBL. Will be chopped to 16.25" and already has a 12.75" LOP. After they do their thing, they are sending it to Robar to have it chemically treated so it will essentially be blued/blackened when done. There are a few other cool details but I will save that for when it's back and I posted it on thehighroad. I guarantee it will put a smile on your face. I'm hoping to take it to the big bore challenge this comming summer. Michael, what about the trigger pull on that BLR? $125 dollars for a magazine? Hahahah....oh, you were serious? Um, yeah, right. I think I'll pass. Nice idea though. I don't remember; why not in .308? definitely cheaper and it would be even better if they made one with a larger capacity than the originals. Add an AR style stock or a folder and now you really have something! Jeeeeez..you guys overestimate my massive power!!! I'm going to be talking with Browning about the magazine issue, but don't hold your breath! ...which is actually pretty cool for all the same reasons as your ancient 760 (I had an uncle that used one for ages on whitetail deer). Scott, mainly because I wanted to be able to carry more ammo in a lighter package. Anon, trigger pull is somewhere between "heavy" and "wretched." The BLR can use a wholesale action job with a lot of the short edges knocked off. Sheepdog, it is an act of will on my part NOT to buy a Marlin 45/70! They are sooooooooo cool. Overlad...have you voted yet? I'm sending my ballot back tomorrow...wanna guess my votes??? LOL! Based the gun on discussions with people in the s;ave states...most restrictions focus on semi auto, magazine capacity and "military" components like folding stocks. Didn't pour though the laws! I don't trust the mail in ballot, so I always vote in person. I expect that political operatives have been dumpster diving in the past few weeks looking for voters. Hopely we're past the "Margin of Fraud" in Colorado, at least! 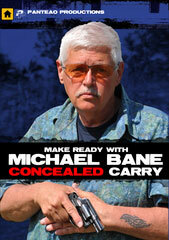 So what LOP do you use Michael on your cowboy guns? I've settled on 12.75". Awesome guns you got there. And that Negrini gun case is something to wish for from Santa. First time me reading your blog. Great article on the BLR takedown. Very interested in the case. Can you please provide model number of the case. I looked it up on their site, couldn't find it. Now THIS Is a GUN! Yeah!!! One More Item Checked Off the Ole List!